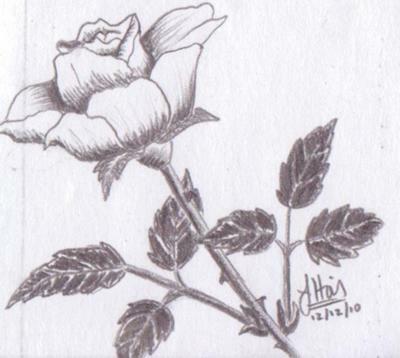 I only draw to give people gifts, and I love how fast I can draw roses now. This is a 2x2 inch drawing, so it's not that great, but I love how simple it is. Good job Jenny! I like it. Very nice!